On 10 September, the Israeli high court started hearings on if and how Israel’s discriminatory Absentees’ Property Law (1950) should be applied to Jerusalem properties of Palestinians residing in the occupied West Bank. For Palestinians, this case will be crucial for determining the usefulness of legal challenges of this law in Israeli courts. The Civic Coalition-Jerusalem has issued a special brief about the Israeli Absentees’ Property Law on this occasion. The Palestinian parties in this case are seeking a principled court decision that will establish, once for all, that this law, which has been used by the state to confiscate large amounts of Palestinian land and buildings, is not applicable to property in occupied East Jerusalem owned by Palestinians living in the occupied West Bank. As expected, the high court hearing held on 10 September ended without a decision. In the hearing, the seven-judge panel did not consider the state’s position to be satisfactory. The state, represented by the State Attorney, holds that the law is applicable in East Jerusalem properties of West Bank Palestinians and has been seeking to avoid a principled decision by offering the partial release of the East Jerusalem properties confiscated from the petitioners in the specific case. The high court rather deliberated the appellants’ arguments that the application of the law in East Jerusalem is unlawful. Judges suggested that the Absentees’ Property Law should not be used for confiscating Palestinian property in the future, arguing that a retroactive decision would open up a “pandora’s box” of litigation over past confiscations. This suggestion was rejected by some petitioners including Adalah, who asserted that if there had been injustice, it must be undone regardless of the inconvenience and ensuing litigation. The hearing ended with a request by the court to the appellants and Adalah to present additional arguments on the following question: If the court rules that the application of the Absentees’ Property Law is unlawful in East Jerusalem, should this decision also be applied retroactively or only prospectively? The Absentees’ Property Law (1950) is one of Israel’s major legal instruments for seizing Palestinian property. By classifying every citizen or persons present in an “enemy” territory or country as an “absentee” vis-à-vis property in Israel, the law has served to confiscate the land and real estate left behind by the Palestinians who were forcibly displaced 1948. It is still in effect and used to confiscate Palestinian properties more than six decades later. In 1967, all Palestinians in the Occupied Palestinian Territory (OPT) theoretically became “absentees” vis-à-vis their property in East Jerusalem which had become “Israel” as a result of the illegal annexation. Israel’s annexation and extension of the Absentees’ Property Law to occupied East Jerusalem violates international law and has been strongly condemned by the United Nations. In the lead-up to the 10 September high court hearing, Israeli State Attorney and Government Legal Advisor Yehuda Weinstein declared that the Absentees’ Property Law applies and can be enforced on West Bank Palestinians with properties in occupied East Jerusalem. Later, Weinstein announced that he shares the position of his predecessors, stating that the law should only be applied in special circumstances, subject to approval by the attorney general, because its application to West Bank residents raises "considerable legal difficulties with regard to both international law and administrative law". This, combined with the announcement that state recommends the release of the part of the Hotel Cliff confiscated from West Bank Palestinians (but not the part belonging to Palestinians living abroad), has been heralded by Israeli media as a sign that Israel would stop using the 1950 law to confiscate Palestinian property in East Jerusalem for the benefit of its Jewish population. Media reports of this kind are, however, misleading. The fact that the recommendation to release the confiscated property is based on Article 29 of the Absentees’ Property Law indicates that the state is seeking to avoid a principled decision suspending the law for West Bank Palestinians by treating the petitioners as “absentees” whose properties in Jerusalem may be released on special grounds. Since 1967, Israel has applied the law in a selective and gradual manner. 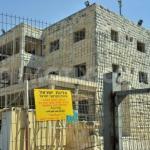 East Jerusalem properties of persons in “enemy” countries have been confiscated. Palestinians who were present in Jerusalem on 28 June 1967 were excluded from the scope of the law. Palestinians living in the occupied West Bank, outside the annexed area, did not face extensive or systematic expropriation due to the legal opinions of Israel’s state attorneys (Shamgar, 1968; Mezuz, 2005) that the law was not to be applied to this group, if their “absence” is the result of the expansion of Jerusalem’s boundaries, because such absence was merely “technical” or “artificial”. These restrictive instructions, however, did not stop attempts to expropriate East Jerusalem property of Palestinian West Bank residents by declaring it "absentee properties". Such cases continued to be brought in the Jerusalem district court, with judges adopting divergent and even contradictory arguments and decisions. Appeals against the above decisions were filed in the Israeli high court by the Palestinian owners and the state. The court consolidated these cases for examination by an expanded seven-judge panel in the hearing on 10 September. The sign says: State of Israel, Israel Land Administration. Entry forbidden.